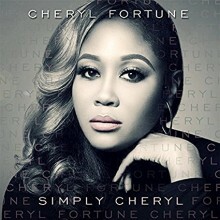 Well known in the gospel community for her cutting-edge songwriting and heartfelt vocals, Houston native Cheryl Fortune inspires and amazes with her debut album, Simply Cheryl for Tyscot Records. Prior to the launch of her solo career, Cheryl served as a vocal arranger and background vocalist with Grammy nominated artist James Fortune & FIYA in addition to co-penning several of the group’s hit songs, which have graced the top ten on Billboard gospel charts. Along with her work with FIYA, she has served as songwriter and guest vocalist on projects associated with numerous other national gospel artists such as Kirk Franklin, Shirley Caesar, Isaac Carree and Bishop T.D. Jakes. Clearly a veteran in her own right, it was simply a matter of time before she would grace us with this solo offering. 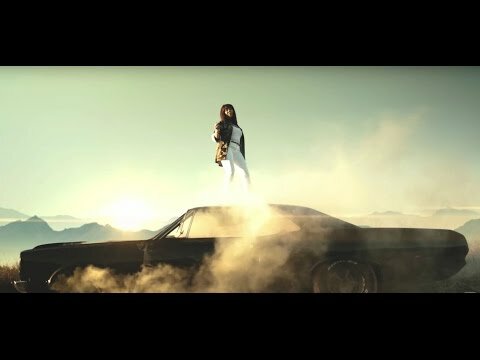 Simply Cheryl is anchored by the hit single “Fighters,” a song inspired by a Mother’s Day card from the singer’s 13 year-old daughter affirming Fortune’s kindness, love, strength and resilience (i.e. fight) during specific challenging moments of the artist’s life. “Fighters” links Fortune, a domestic violence survivor, in affirmation with listeners who have also experienced similar life circumstances: “We’re fighters never gonna give up… I’ll take your hand and you’ll take mine, we’ll conquer this think they call life…” Couched in a hard-hitting drum line instrumentation created by producer Lucius B. Hoskins, “Fighters” also reflects broader social impact, as an adopted theme song of encouragement for people recovering from the devastation of Hurricane Harvey. However, in the words of Fortune during a recent interview, this project is not “victim music.” Rather, the album’s songs are sacred expressions of triumph created and shared by one who has persevered in spite of life-changing obstacles. Other notable tracks such as “4 A Night” and “Figure It Out” (both produced by Terence Vaughn), like the entire project, are rooted in ‘80s and ‘90s R&B music traditions. While listeners will surely recognize definitive rhythmic grooves, guitar melodic lines, synth bass lines and horn stabs, harmonic progressions, and talk boxes, among other textures linked with R&B sensations such as Bobby Brown, Keith Sweat and Mint Condition to name a few iconic artists, the gospel message of encouragement, hope and resilience remains at the forefront of the album. Simply Cheryl is a spectacular album that will leave you eagerly waiting to see what else Cheryl Fortune has in store. For those seeking to experience a powerful inspirational message saturated in timeless grooves, Simply Cheryl is for you!